Injuries related to walking and texting have tripled since 2004. Walking speeds can be reduced nearly 30% when someone walks and texts. Many injuries might be avoided by the cautious / protective actions taken when walking and texting and it is mainly a reduction in walking speed. Some cities are putting padding around light poles and levying fines to people who walk and text. If you sustain an injury while walking and texting, seek the advice and treatment of a Physical Therapist. You may have heard people say jokingly, “He can’t walk and chew gum at the same time.” This usually indicates a person cannot do two tasks at once. Nowadays it might be more fitting to say, “He can’t walk and text at the same time.” Researchers have observed the changes in gait while someone walks and texts. Surprisingly, the changes that take place seem to make it safer for the person who is performing the task. When people walk from point A to B, they have a specific form and pattern. The speed, cadence (number of steps), arm swing and stride length are similar throughout the gait pattern. By observing a person walking and texting, researchers can identify changes in the typical form and patterns. The person who is walking and texting will reduce speed and cadence, shorten strides and has almost no arm swing. The muscle activation is different favoring stability of the ankle / foot complex. The change in gait includes a longer flat foot mid stance time and less push off. Even more specifically, the reduction of gait speed correlates with what is being texted. When people type a specific line of text, they are able to keep their speed at a level that was close to normal walking speed. When they were asked to text in response to an ongoing conversation or to figure out a complex math problem, they slowed their speed considerably. 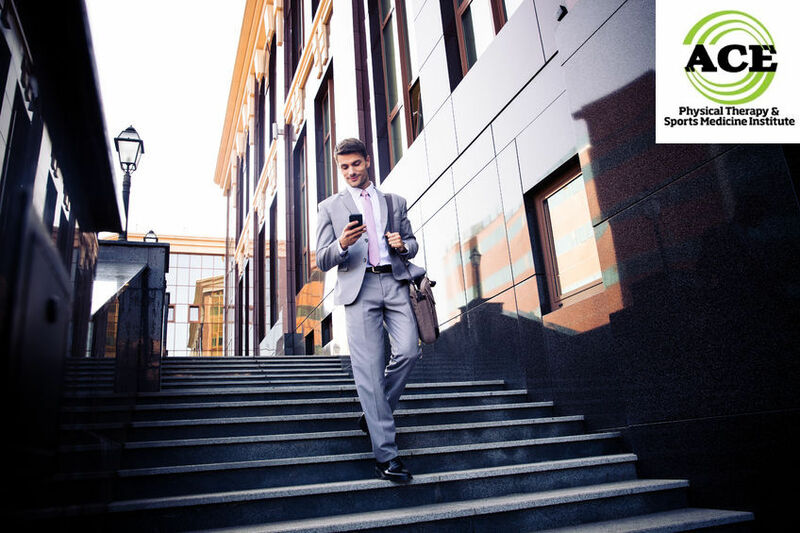 If the person who is walking and texting needs to step over an object, that person steps higher than normal in order to avoid making contact with the obstacle. This could affect balance and cause a fall. Age seemed to have a negative effect on the ability to walk and text. The people over the age of 50 had a more difficult time maintaining a walking speed and typing correctly. When asked to perform higher-level cognitive functions (math problems) or read a long text message, they slowed their speed and nearly came to a complete stop. Younger people have grown up with smart phones and texting. The effect on their gait is significantly less compared to someone over the age of 50. On the other hand, younger people may face a different problem: their posture. Walking and texting may cause them to assume the “rounded “shoulder and “forward head” posture, which can lead to a host of musculoskeletal conditions. If you do injure yourself while you are walking and texting, you should seek treatment from a Physical Therapist. These healthcare professionals are capable of evaluating and treating musculoskeletal injuries. The visit to the Physical Therapist can be your first stop to a healthcare professional. Seeing a Physical Therapist does not require as visit to your doctor. Walking and texting is here to stay. The gait changes that occur when someone is walking and texting provide a protective gait pattern and help them avoid injuries. It slows them down but makes them more stable. It is wise to avoid texting while you walk, but if you have to do it be careful and move slowly. The best advice would be to step to the side and stop all together as you prepare to read or send a text message.